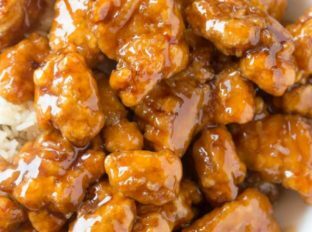 This recipe is different than the orange chicken recipe with orange marmalade that is SUPER popular online because the sauce in that recipe is based on a mixture of barbecue sauce and orange marmalade. While some of the pictures may look slightly similar, this Panda Express Orange Chicken is going to taste a lot different. Looking for the ENTIRE Panda Express Recipe List? I have recreated the entire menu on the blog and have a Panda Express Recipe Index so you can easily access them! I have an entire section of the site dedicated to your favorite copycat recipes too! 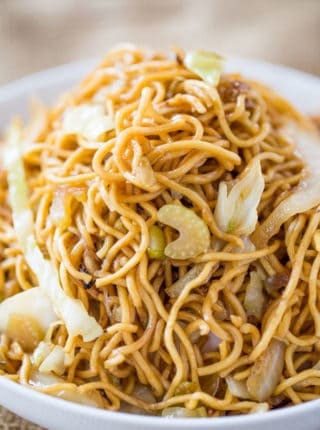 Want some of the most popular Panda Express recipes? Here’s a video of this Orange Chicken being made (I added green onions in the video, but that’s just for personal taste, the copycat doesn’t actually contain green onions). It may seem like there are a lot of ingredients at play here and a lot of dishes to dirty, but it really does come together pretty quickly and at the end of the cooking when you have a plate of this chicken waiting to be eaten you’ll forget all about that pile of dishes left behind! 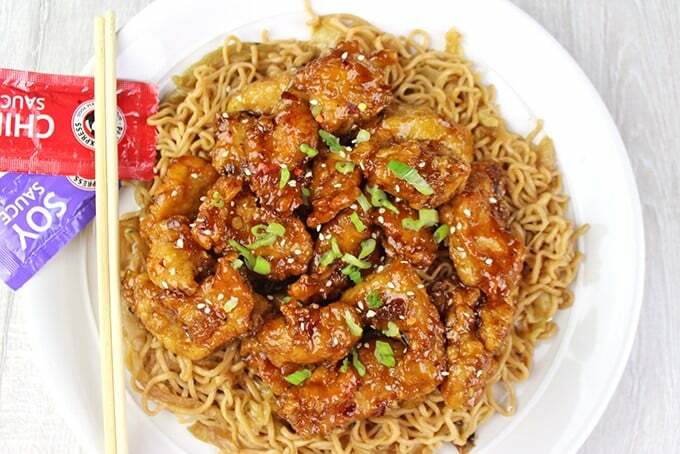 If you would like to kick up the heat a little bit and make this a spicy orange chicken, I suggest about 1/2 tablespoon of Sriracha mixed into the sauce. Any additional heat you can add with crushed red peppers. If you’re looking to make your Orange Chicken healthy I have THE EXACT SAME Panda Express Orange Chicken recipe on the blog adapted for a much healthier meal. Look at Ground Orange Chicken (1 Pan!) and I even make it into a burrito (which was AMAZING) —> Orange Chicken Burrito. Most people make a version of baked orange chicken to lighten the calories, I do it instead with ground chicken which is browned really well first to give the crispy texture without the breading. 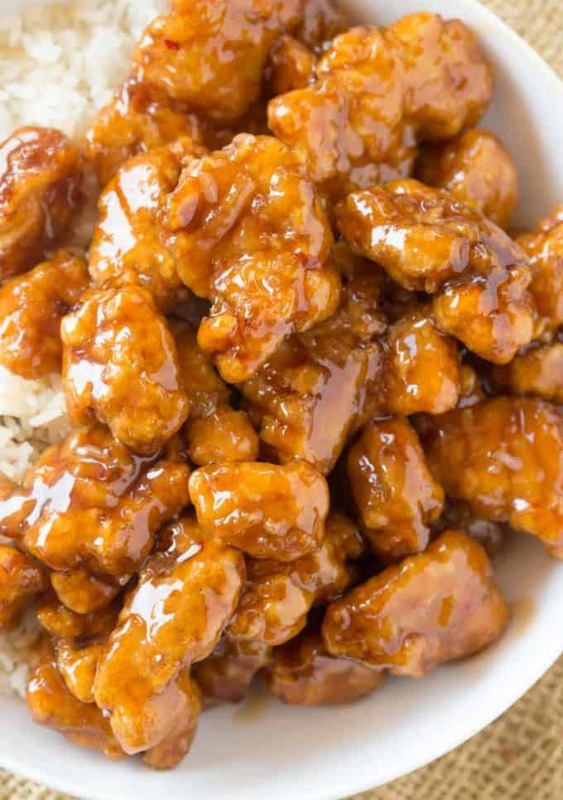 Orange Chicken Recipe for Crockpot/Slow Cooker? I used to actually make this recipe in the slow cooker when Tyson made raw chicken tenders. I’d just put the tenders in the slow cooker with the sauce, cook on low for 3 hours, then add in a bit of cornstarch/water slurry and cook an additional hour. Now, I make small nuggets, bread them in panko then freeze them and cook them the same way. This recipe is coming soon on the blog. How do you make an orange sauce? Orange Sauce is a mixture of vinegar, soy sauce, sesame oil, sugar, orange zest and crushed crushed red peppers that thicken in a pan with deep fried battered chicken with will help thicken the sauce, It is super easy to make. 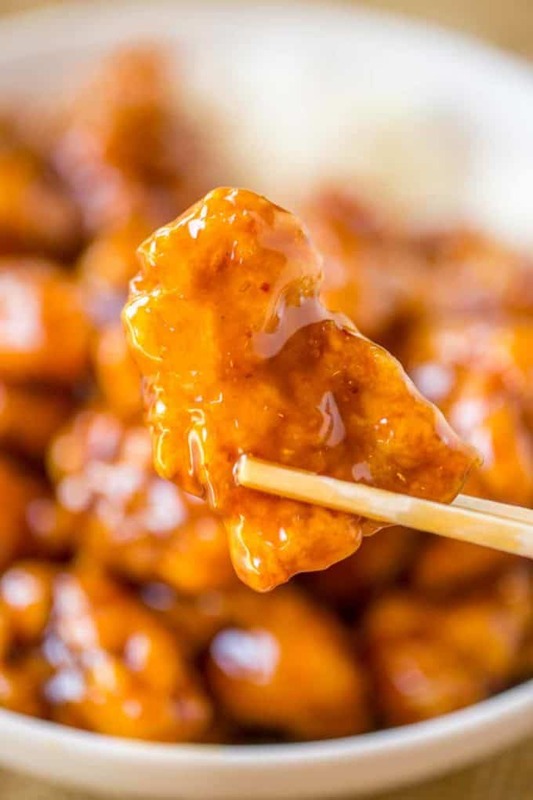 What is in General Tso’s chicken? General Tso’s Chicken (you can find it here on the blog) is probably the closest tasting dish to Orange Chicken. 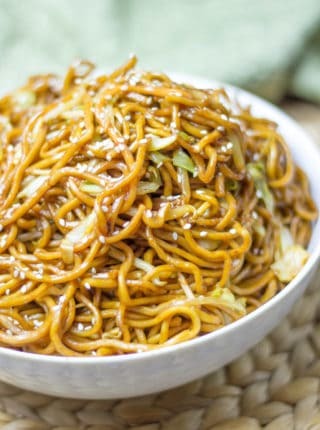 Though it doesn’t contain any orange, it does have many similar ingredients including soy sauce, vinegar, sugar, cornstarch as well as dried red chili peppers and garlic. It is tossed with deep fried chicken pieces as well. 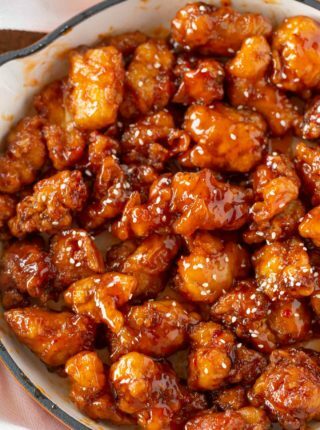 How do you make sesame chicken? 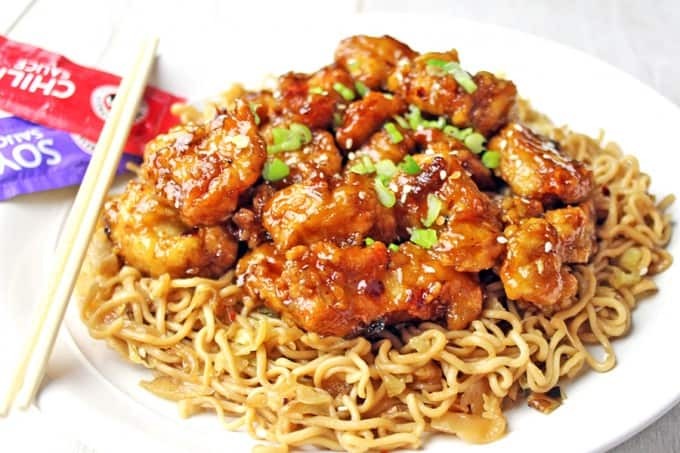 Sesame Chicken Definitely has a similar flavor profile to Orange Chicken but it is normally made with chicken broth, sugar, vinegar, dark soy sauce and sesame oil which is cooked down in the pan to thicken before being added to the chicken. What is in Orange Beef? Orange Beef is the far less known version of Chinese Food with orange flavors. Since orange chicken is so popular most people don’t order the beef version. Simply purchase the best beef you are comfortable buying (I prefer ribeye, chuck roast works okay too) and freeze for 30 minutes. Slice VERY thinly against the grain and cook it just like you would the orange chicken. 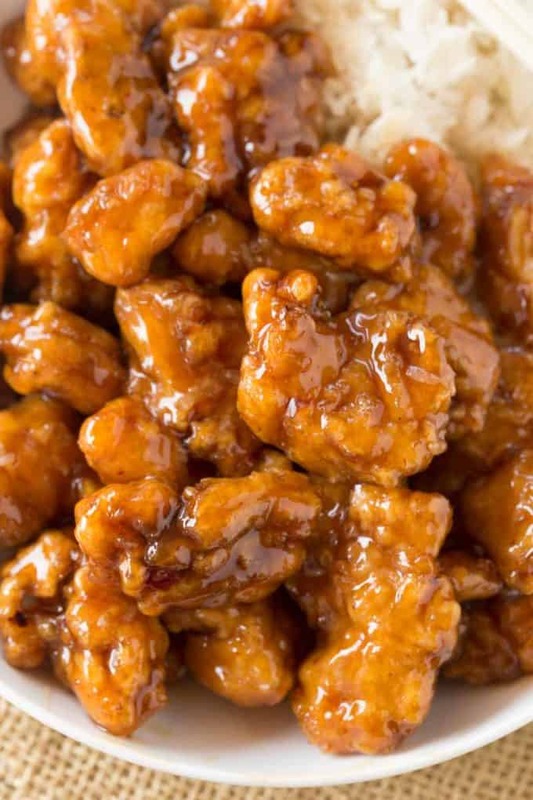 We love Panda Express orange chicken at my house so I was excited to try this so I could make it at home since it can expensive eating out with a family of 4. While it does taste really good, it is nothing like Panda orange chicken. And it took me almost an hour to make it and uses a lot of dishes for the preparation as well. Asian food tend some to me more labor intensive though. I do really love the mushroom chicken and noodle copycat recipes though. Sounds amazing! Can you use chicken breasts instead of thighs? It will change the flavor but it would definitely be healthier. In your ingredient list you ask for 2 tbsp oil divided, plus more for frying. I only see you using 1 tbsp of oil in your directions … where do you use the second tbsp? Also, there is no mention of how deep the oil should be in the skillet or wok. As I have never made a deep fried recipe before I don’t know what that amount should be ? If you want your chicken to be light and crispy, you’ll want your chicken to be floating in oil usually around 3 inches deep. Enjoy! Little sweeter than I like but still very good! Next time I’ll probably cut down on the amount of sugar. Still enjoyed very much! Made this last night but cheated and bought Panda Express sauce! Yes! They make their sauce for sale at grocery store near you, it’s a great short cut for a week night meal! Quite simple recipe. I was worried there wouldn’t be enough sauce for the chicken, but there was the perfect amount. The orange flavor was not too strong neither was it too weak. Definitely a keeper! This recipe is so good! My coworkers loved it and family did too and it was really easy to make… Now it’s my 4th time making it, my co-workers and family are always requesting this orange chicken! I love it!!! Yay!!! So glad everyone is enjoying it! What oil do you use for coating and frying the chicken? I prefer to use canola but you can use vegetable oil or whatever oil you have on hand. Yes yes yes! Followed recipe as is and it was amazing!! Yay! So glad to see this! Thank you so much for leaving a review after trying it! Hi. 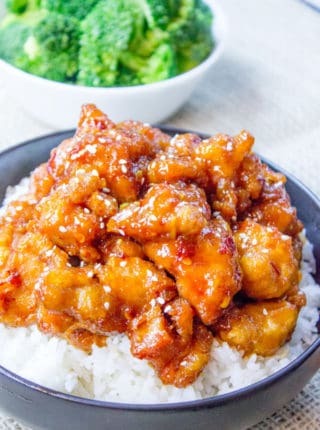 Would LOVE to try this recipe since I just had orange chicken at Panda Express at the airport in Houston and we don’t have Panda Express here in Denmark unfortunately. However, am I the only one who can’t see the orange sauce mentioned in the list of ingredients but only in the recipe itself? Is it just sauce from squeezed fresh oranges and how much (metric measurements)? Thanks! I’m so glad you found this recipe! Step 1 in the instructions explains what ingredients to use to make the orange sauce. Those ingredients are included in the ingredient list. Hope this helps! Enjoy. Made this tonight for the fam and all agreed it’s even better than Panda Express! Thanks so much for sharing this amazing recipe! You’re welcome, Amy! Thanks for the 5 stars! Can you make this recipe in an instant pot? If so, how? I haven’t tested it using one so I’m not comfortable giving a recommendation. You might be able to find a recipe online using similar ingredients and follow that as a guideline. Sorry. 2nd time making this and it is awesome! Love that I know what is in and who made it! So glad you love it, Lisa! Thanks for the 5 stars. You mentioned using sriracha in the “tools used in making this orange chicken”, but I don’t see sriracha in the ingredient list. Where does it come in? Sorry about that. It’s not used in this recipe but you can add it at the end if you prefer a bit of a kick. This is a great recipe! I made this today and I didn’t have any rice wine, but the sauce came out fine! I have to say the orange flavor is VERY strong but I like it (I used the zest of a whole orange – maybe my orange skin was very flavorful). I also used a little bit over a pound of chicken and then added steamed broccoli and sauteed mushrooms which I tossed in the sauce. It tastes AMAZING! If you don’t have cornstarch you can use ground/milled flax seed. It adds a nice nutty flavor. Thanks for the suggestion, Brittany! Can you make this with chicken breast instead? Or does it need the fat from the thighs? I would recommend using thighs. I made this recipe for my first daughter and her husband after their baby was born and they raved about it. When my second daughter came home with her new baby, she and her husband requested this recipe. I make it just as it’s written. Everyone loves it! I’m so glad everyone enjoys it! recipe it was so tasty I didn’t have an orange so I use OJ and added a little to the egg mixture also I used agave THANK YOU SO VERY MUCH. All the best to you and yours. Now I’m going to try some of your other recipes. 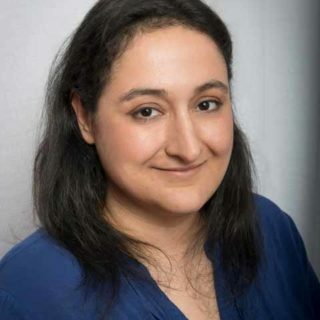 You are so sweet, Paulette! I’m so glad your family enjoyed this so much! Made this last night and it was wonderful! The only thing I changed was I added the juice of the orange as well. Had a great orange flavor that’s even better than what Panda Express offers! ? I wouldn’t recommend it. The chicken will lose it’s crispiness. 95% of the ratings are from people who haven’t even made the recipe; they just mostly say it LOOKS good and they can’t wait to try it. it really throws off the ratings, and because i’m looking for copycat recipes, i’d like a comparison to the original recipe. there was only one person that stated it was very close to Panda Express. Can I use breast instead of thighs? Yes, but it will change the flavor. Thanks for the suggestion, Kayla! Recipe was delicious! My son is a picky eater and he asked for seconds and thirds! I didn’t have all the ingredients on hand so I had to substitute the orange zest for 2teaspoons of Orange juice and less white wine vinegar since I added OJ instead of Zest. I also added less sesame oil and ginger because I find it too overpowering and less crushed chili pepper since my son doesn’t really like spicy food. I will definitely be making this recipe again . This was amazing! I made this for my family tonight! So so good!! Thank you!